Westminster Quaker Meeting House hires out rooms at attractive rates for our central London location. See What’s Here for information on groups that meet here each week or month. Our diverse and friendly community is made up of groups that meet here on a regular basis. We may not always be able to accept bookings for one-off events. Our spaces include cosy meeting rooms, lovely therapy rooms, a spacious studio, and our large parquet-floored Meeting Room. The building also has a fully equipped communal kitchen, which all our hirers are welcome to make use of. Our central London location offers superb transport links. We are just two minutes walk from Leicester Square and Charing Cross underground stations. We are pleased to offer special concessionary rates for Quaker groups (please contact us for more information). 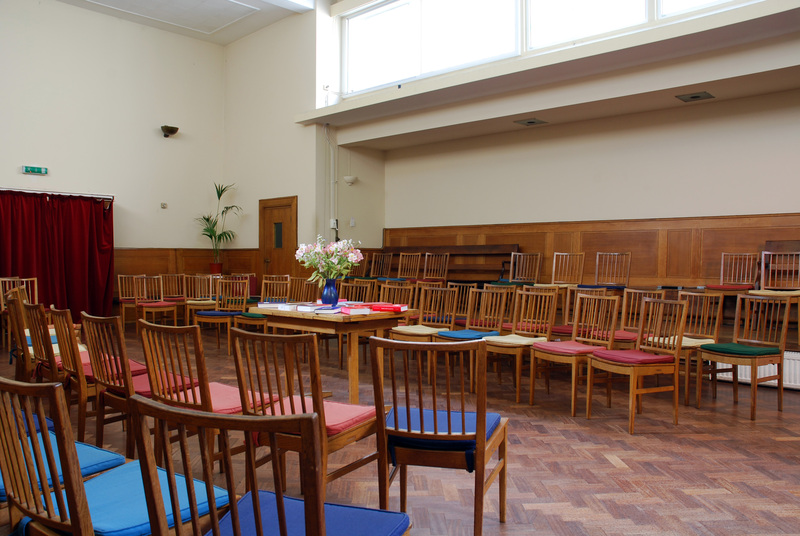 We do not charge for any Local Meeting or Area Meeting Quaker groups / activities, or for any organisations of which Westminster Meeting is a member. It is vital, however, that all meetings are booked in with the Wardens. Bookings should be made with at least seven days notice, and are confirmed on receipt of full payment. All proceeds go towards the upkeep of London’s Quaker Meeting Houses. For all enquiries please contact Lorna the Premises Co-ordinator.